Betting odds can appear daunting at first glance but they are actually quite straightforward to calculate. We’ve devised a beginners guide to explain betting odds. When looking at the odds (price) of a horse, the two formats used are decimals and fractions. Betting exchanges operate in decimals, whereas fixed-odds betting firms generally operate infractions. When determining the returns of a fractional bet, the second number always suggests the stake and the first number denotes what the profit will be if the bet wins. Take 4/1 as an example. If you stake £1 on a horse, then you stand to win £4 if the selection wins the race, which excludes your initial stake. In contrast, the decimal format factors in the initial stake. Betting odds of 4/1 would equate to 5.0 in decimal terms, 5/1 would be 6.0, and so forth. See the chart below for a breakdown of betting odds in both fractional and decimal format, showing forecasted returns to £5 level stakes for the key prices in a market. If you want to work out your winnings from a multiple bets such as an accumulator, we recommend you use a betting calculator to do it for you. See our list of betting calculators here. There are many betting types to choose from when placing a wager. From singles to multiples, we have a list of some of the most popular types of bet. Arguably the most common betting type. A straight win bet, placed on a single event. An each-way bet is a two-part bet, with half the stake going on the selection to win and the other half on the selection to place. It costs double that of a traditional win bet and will yield some sort of return if the selection wins or is placed. For example, you place £5 each-way (£10 in total) on a horse priced at 8-1 with a bookmaker offering 1/4 odds for 3 places. If the horse places you will receive £15, but if the horse wins you will collect £60 (£45 for the win and £15 for the place), both returns including the original stake. A straight place bet. Profit will be yielded if a selection simply places in a race. Betting terms in races at major festivals may be subject to place enhancements at the bookmaker’s discretion. For instance, many firms now offer 6 places for the Grand National. A single bet on two outcomes in different events. Both selections must win to guarantee a return. A single bet on three outcomes in different events. All three selections must win to guarantee a return. The traditional accumulator comes in the form of fourfolds and above. As with the doubles or trebles, this is a group of selections and all of them must win to guarantee a return. A bet comprising three selections and four bets – three doubles and a treble. A minimum of two selections must win to guarantee a return. For example, a £2.50 Trixie would cost £10. A £2.50 each-way Trixie would cost £20. 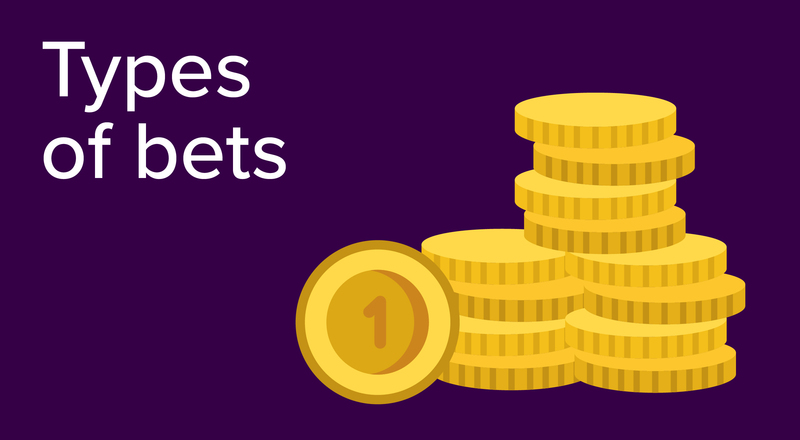 A bet involving three selections and seven bets – three singles, three doubles and one treble. It is the equivalent of a Trixie but with the addition of three singles. For example, a £2.50 Patent would cost £17.50. A popular betting type among punters, it consists of four selections and 15 bets (hence the name) – four singles, six doubles, four trebles and a fourfold. Equivalent to a Yankee but with four singles, and only one selection must win to guarantee you a return. For example, a £2 Lucky 15 would cost £30. A bet consisting of four selections and 11 bets – six doubles, four trebles and a fourfold. A minimum of two selections must win to guarantee you a return. For example, a £2 Yankee would cost £22. A wager consisting of five selections and 31 bets – five singles, ten doubles, ten trebles, five fourfolds, and one fivefold. Only one selection must win to guarantee you a return. For example, a £1 Lucky 31 would cost £31. A bet featuring six selections and 63 bets – six singles, 15 doubles, 20 trebles, 15 fourfolds, 6 fivefolds and one six-fold. For example, a £1 Lucky 63 would cost £63. A straight forecast is correctly predicting the finishing order of the horses in first and second in a race. A reverse forecast is correctly selecting the first two horses but in no particular order. The Placepot is another favourite for racegoers. Select a horse in each of the first 6 races at a specific racecourse on a single day, and if that horse finishes in the placings you win a share of the total pool. One unplaced selection and the bet is off! Quite possibly the hardest bet to win. Correctly predict the first 6 winners at a specific racecourse on a single day to win a share of the pool. One wrong selection and the bet is off! If you want to work out your winnings from a multiple bet such as an accumulator, we recommend you use a betting calculator to do it for you. See our list of betting calculators here. The betting world can be a confusing place, especially with all the betting terms flying around. 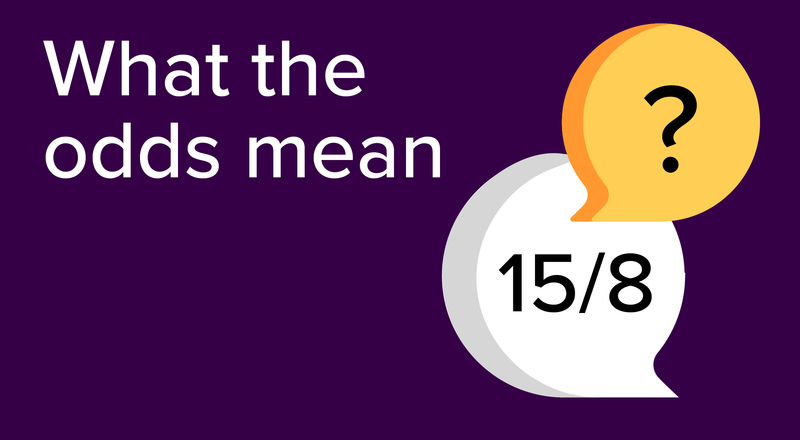 This handy jargon-buster guide can help you better understand some of the common betting terms, so you can join in with the punting-talk next time you’re at the races. A bet involving more than one selection with the winnings from each selection going on to the next selection. All selections must be successful to get a return. Ante-post A bet on a race well in advance of the day of the race. Back A bet on a horse to win (or each-way). The opposite of lay, and the more traditional bet type. The lowest odds of horses not mentioned in the betting forecast ’20-1 bar’ means those not quoted are 20-1 or bigger. Betting exchange A betting website whereby you are betting against other people, rather than against the bookmaker. Cash out Taking a payout offered by your bookmaker before the completion of a bet. Co favourite A horse who leads the market with one or more horses. Dividend The amount that a winning bet or placed horse returns for every £1 bet. Term often associated with Tote pools. Drifter A horse who finds its price getting bigger prior to the race beginning. Duel forecast A reverse forecast (or dual forecast) is a bet where the aim is to predict the winner and runner-up in either order. Dutch Backing two or more horses in a race, increasing your chances of finding a winner but essentially at shorter odds. A bet where half the total stake is for the selection to win and half is for the selection to be placed. The bet will be settled differently depending on whether the horse wins or places. Edge A punters advantage in a bet. Evens A price of 1-1. Your stake brings equal winnings: e.g. £10 staked at evens wins £10 (total return £20). Favourite The shortest priced horse in the race, the market leader. A fold represents the number of selections in an accumulator, a four-fold consists of 1 bet with 4 legs that all must win for a return. A bet where the aim is to predict both the winner and runner-up in a race. A straight forecast is the winner and runner-up in the correct order. A bet consisting of 247 bets involving 8 selections. The bet includes 28 doubles, 56 trebles, 70 four-folds, 56 five-folds, 28 six-folds, 8 seven-folds and an accumulator. A minimum of 2 of your selections must be successful to get a return. This involves placing a bet on opposing outcome to the punters original selected outcome in order to guarantee winnings of cut losses. A bet consisting of 57 bets involving 6 selections in different events. The bet includes 15 doubles, 20 trebles, 15 four-folds, 6 five-folds and an accumulator. A minimum of two of your selections must be successful to get a return. In the frame Another term for a horse who has finished in the places. In-running A bet placed during the race, as opposed to before the race begins. Joint favourite If two horses have the shortest odds in the betting, they are described as joint-favourites. Jolly A different term for the favourite in the market. Lay A bet on a horse not to win (or not to place). The opposite of backing a horse. Longshot A horse who appears to be unfancied in the market (20-1 shot etc). A bet consisting of 15 bets involving 4 selections in different events. The bet includes 4 singles, 6 doubles, 4 trebles, and 1 fourfold. Only one selection must win for a guaranteed return. A selection that changes in price significantly either way, by increasing in odds (drifting) or decreasing in odds (steaming). A technique employed by many by using fixed odds on the exchange market. The technique covers multiple outcomes either through in-play betting or by finding differences in bookmaker odds. By covering multiple outcomes say by backing Team X to win and when/if they go up, by laying Team X to win, returns are guaranteed whatever the result. A bet that consists of multiple horses. This is a broad term that could refer to a simple accumulator or more complex bets like a Lucky 31. Nap The best bet of the day for a tipster. Odds compiler A person who sets the odds offered by a bookmaker for any given race. Odds-against A price that is bigger than evens. Betting odds where the potential winnings are higher than the stake. A price that is shorter than evens. Betting odds where the stake is higher than the potential winnings if the bet is successful. Turn of phrase used to describe a narrow winning margin, often photo-finish winner. May or may not have actually won by a nose. Overround The practice of factoring in a profit margin on the prices offered by a bookmaker. A bet consisting of 7 bets involving 3 selections. Including a single on each selection, plus 3 doubles and 1 treble. Just one successful selection guarantees a return. Permutations Also known as combination bets. A permutation bet is a wager that involves a number of selections. Backing a horse to finish in the places. The number of places depend on the number of runners, with two places available for a five to seven runner race, three places for eight to 15 runners, and four places for handicaps with 16 runners or more. Extra place terms are often offered by bookmakers. Pony A slang term for £25. Price Often referred to as odds. The chance a horse has been given by the market to win the race. Return The amount of money to be returned to the person who placed a bet if it wins. A series of three or more selections in 2-fold accumulators. A round robin means 3 selections in different races, in 3 doubles, 1 treble and 6 single stakes about bets. 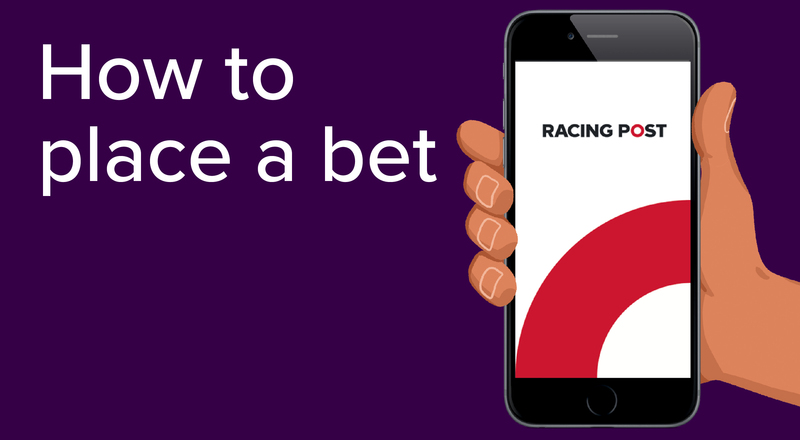 One of the most commonly invoked betting rules, dealing with deductions from winning bets in the event of any withdrawn runner(s) from a race. The rule applies to winning bets struck at prices (e.g. morning prices) laid before a withdrawal (other than ante-post bets, which are unaffected by Rule 4 (c) and to starting-price bets where, after a late withdrawal, there is insufficient time to re-form the market. The rate of deductions is in proportion to the odds of the non-runner(s) at the time of the withdrawal. 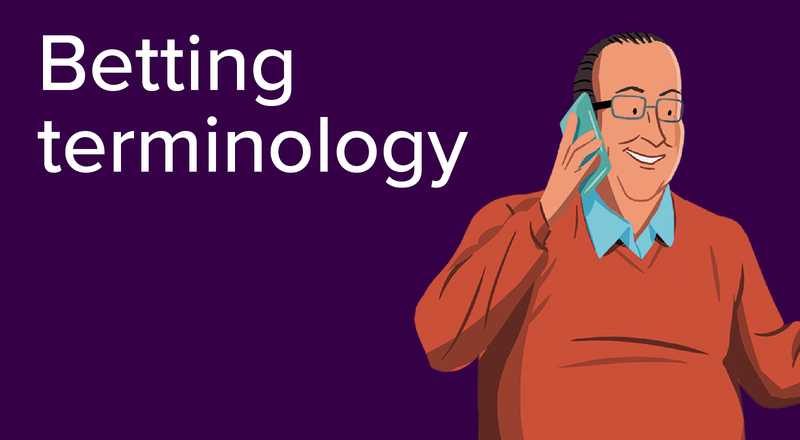 Score A slang term for £20. Starting Price. The starting prices are the final odds prevailing at the time the race starts and are used to determine the payout to winning punters, unless a punter took a specified price at the time of placing the bet. Similar to the handicap betting system. If you back a team to cover the spread, so a team will lose bu no more than 5 points, or win by more than 6 points. Stake The amount of money you bet on a horse. Steamer A horse who has shortened in the market considerably. Ton Slang term for £100. A bet consisting of 4 bets involving 3 selections. The bet includes 3 doubles and a treble. A minimum of two selections must be successful to get a return. Void bet This is a bet which is declared invalid. The stake is returned without deduction. A bet consisting of 11 bets involving 4 selections in different events. The bet includes 4 doubles, 4 trebles and an accumulator. A minimum of 2 of your selections must be successful to get a return. You can use your existing betting account with one of our partner bookmakers, or register to open a new account. Find the list of bookmakers by choosing the Accounts tab on the Racing Post app. Log into your bookmaker account by selecting their logo, or Open Account. If you’re opening a new account, check the latest free bets and registration offers to make sure you get the best promotional deal. Best Odds Guaranteed (BOG) is automatically applied to your bets. This means you get the best odds (or price) for the horse you’re backing. If you place a bet at 3/1, and the price drifts to 5/1, you’ll get paid at 5/1. This doesn’t apply to SP (starting price) bets, which are only paid out at the price when the race starts. Go to the racecard for the race you want to bet on. Choose the horse you want to back by selecting its odds button. We’ll add this selection to your betting slip. Choose your stake and decide if your bet is to win, or each way. We’ll display your estimated returns from your total stake. Choose Place Bet when ready. To watch the race live, you must bet £1 or more on it. Go to the racecard and look for Watch Live. You’ll be able to start watching 2-3 minutes before the race begins. You can use your existing betting account with one of our partner bookmakers, or register to open a new account. Find the list of bookmakers by choosing the Accounts tab on the racingpost.com website. Log into your bookmaker accounts, or Create an Account. Which bookmakers can I use? If you have never done it before, you may not know where to place a bet. 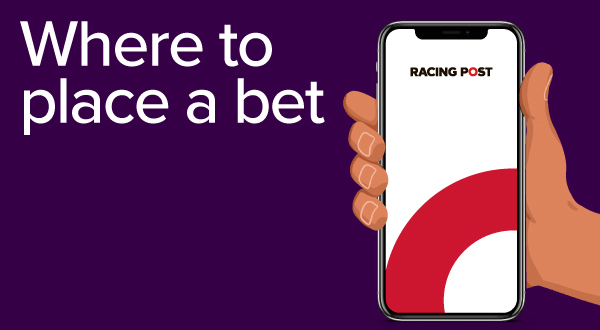 Bets can be placed at a number of different outlets such as on the racecourse, in a betting shop or, even easier, directly through the Racing Post App or Website. The growing trend of internet gambling is possibly the simplest and easiest way to make a bet as the websites are designed to make it easy to understand racing and gambling terminology. Through the Racing Post App and Website betting online is easy. Scrolling through the various menus of the racecards section you can find the different meetings taking place on the day – simply click on the meeting and the list of runners in the first race at that meeting will appear. You can choose which race you’d like to bet on by clicking on the time. The odds of the horse will normally appear on the right-hand side, if you click on that button a pop-up will allow you to place your bet. Choose your stake and put it into the box, if you don’t have any credit in your account then an option to withdraw money from the bank will likely appear, and then press ‘place bet’ or ‘confirm’ and wait for confirmation that the bet has been processed. One of the traditional ways of betting is at the racecourse. It is recommended to take cash to the races as the transactions tend to run quicker, but some on-course bookmakers do take cards. In the shop is another traditional way to have a bet. Simply take a blank betting slip, then write the name or number of the horse, whether it is a win bet or an each-way bet, and the time and venue of the race. Before placing the bet, make sure to find the current odds as they could be much lower by the time the race starts. This can be done by looking at the various screens or asking whoever is working in the shop. Long before the days of computers and internet gambling, punters were reliant on placing wagers solely through face-to-face transactions. During its infancy, on-course bookmakers would communicate price changes in slang to punters on track. For instance, ‘Burlington Bertie’ would signify the price 100-30. Although these methods are still prevalent, the digital age has led to on-course bookmakers being represented far less at race meetings and the number of betting shops declining. Digital betting is a continually expanding market and this trend shows no signs of reversing any time soon. Free bets are given out by bookmakers to encourage loyalty and entice a punter’s custom. The most common promotions are new customer offers and money-back specials on specific races. These betting offers are predominantly a benefit of betting online through mobile, desktop and tablet, as opposed to in betting shops. It is important to note that winnings from a free bet will not include the stake. For example, if you place a £10 free bet on a 3/1 selection, you would stand to win £30 rather than £40. Most bookmakers will advertise an attractive sign-up bonus which offers customers free bets as a reward for opening a new betting account. Free bets are usually credited to the punter’s account after an initial sum has been deposited or a first bet has been placed. The free bet will often match the stake of the first bet with the bookmaker, although this is not always the case and depends on the terms and conditions of each free bet. 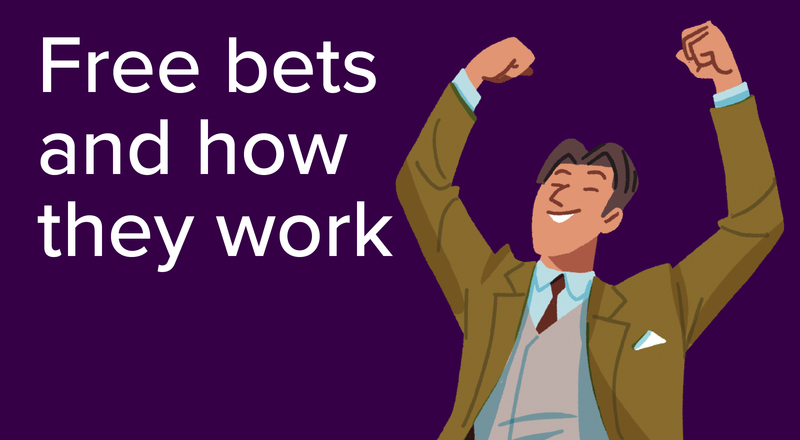 Free bets can be used in a number of ways. Click Here to see featured Racing Post Free Bets. Once the punter has signed up to a bookmaker, they are no longer eligible to receive new customer betting offers again. However, most major bookmakers have special betting offers which any customer can qualify for. These bets require you to place a minimum or maximum bet stake in order to qualify for the free bets, providing the required outcome occurs. ‘Money back as a free bet if your horse finishes 2nd by a head or less’ and ‘Money back special if your horse finishes 2nd to the SP favourite’ are two of the most common offers. Prestigious race meetings such as Royal Ascot and the Cheltenham Festival are a great time to grab a free bet. Bookmakers frequently promote betting offers during these meetings.